Please note: this offer is valid in-store only. 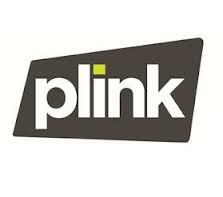 Not a member of Plink yet? Register your debit or credit card and use it as you ordinarily would when making purchases at various restaurants (including Taco Bell, Burger King, Quiznos, Outback Steakhouse, and others), retail stores (Gap, Old Navy, 1-800-Flowers), or movie theaters (Regal Cinemas, United Artist Theaters, etc.). You’ll earn Plink Points redeemable within about a week for gift cards, Facebook credits, or airline miles. Rewards are delivered instantly by email after you redeem for them. You can also earn Plink points for purchasing gift cards at about a dozen other retailers (including Lowes, Bath and Body Works, JCPenney, and Sears), or for booking travel (Enterprise Rent-a-car, Holiday Inn, American Airlines, etc.). If you’re interested in signing up for Plink — I’ve used them for over a year and LOVE this program (set it and forget it!) — you can sign up for Plink here.